No pool will look attractive unless the surrounding area is treated in some way. Most pools are surrounded by tiles, natural stone or concrete that are treated in some way to make them look more attractive. Unless there is some kind of hard surface, the surrounding area will end up getting muddy and this will be trodden into the pool itself, ruining the PH of the water. Even a grassed area can become muddy when it is constantly saturated with pool water. There are usually pros and cons to each kind of treatment and sometimes which one is suitable depends on the location of the pool and to some extent on your lifestyle. A pool that has only occasional use by adults with less splashing of the surrounding area could have a different treatment than one that gets lots of use. 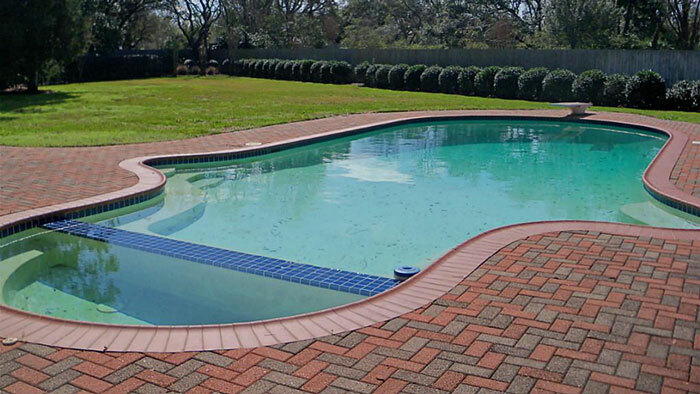 Here are 3 different pool paving treatments to consider.